Are you looking for the leading driving school in Crewe or an experienced driving instructor in Crewe? Come to the A1 School of Motoring for professional, patient and friendly driving lessons in Crewe and the surrounding areas. Our driving plans are tailored to match your individual needs and requirements. Please call to book a series of lessons. We take great pride in the high pass rate achieved by our pupils. Please call if you are looking for the premier Crewe driving school. 1st lesson halfprice, quote ref 56711, subject to conditions. All of our lessons are given in a one to one manner with absolutely no shared lessons. 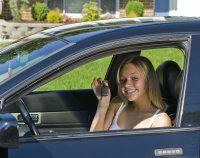 We will collect you and drop you off at your home, workplace or college. We have gained a superb reputation throughout Crewe for our commitment to ensuring our pupils become good drivers and for our remarkable pass rate. Please do not hesitate to call if you are looking for Crewe driving lessons. For more information please call us on 01270 586 984 or send a text with just your name 07930 958 208 and i will get back to you before end of the day . Alternatively, please use the form on the Contact Us page of this website to email your enquiry to us and we will respond as soon as possible.